The Four Bills sent to the Lords. 2. 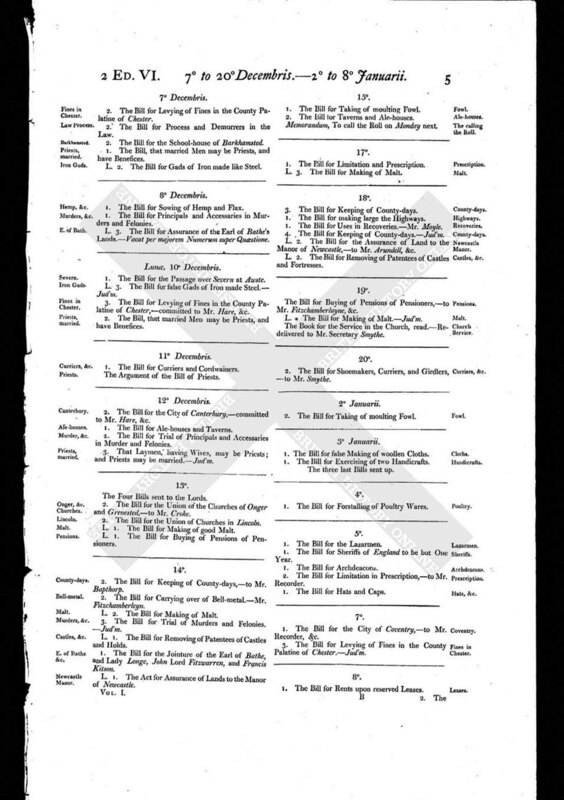 The Bill for the Union of the Churches of Onger and Grenested, - to Mr. Croke. 2. The Bill for the Union of Churches in Lincoln. L. 1. The Bill for Making of good Malt. L. 1. The Bill for Buying of Pensions of Pensioners.